Week 27 – What if this is it? It’s a holiday weekend here in the states and I thought I’d send a popular blog written in 2013. Enjoy! On Thursday night I was sitting on the deck at sunset with my husband, Michael, when a ruby-throated hummingbird came for a visit. He flew to an orange hibiscus flower next to where we were sitting, had a little snack, and then hovered directly in front of us for at least thirty seconds. I held my breath. I stared into his little eyes. 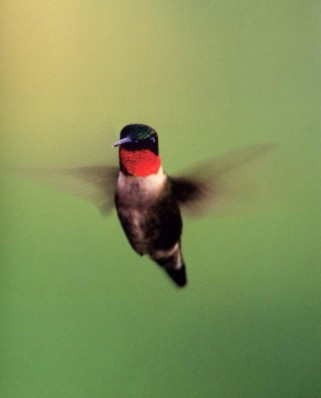 Michael and I slowly turned and smiled at each other as the hummingbird bid his farewell and whisked away. I sat motionless, tears filling my eyes. It was one of those stunning, spiritual moments when humans and nature collide. As Michael and I embraced the experience in silence, I took a step back from myself to notice the intensity of my happiness. I was so excited by the visit, I thought I would burst. Right there. On the deck. In that moment. I couldn’t think of a single thing that would make me any happier. What if this is what it’s all about, I said to Michael. These moments. The magic of a beautiful encounter. The enchantment of wonder. And in our humanity it’s easy to forget this truth. In this week’s video, you can watch gorgeous hummingbirds in action. Check it out here.